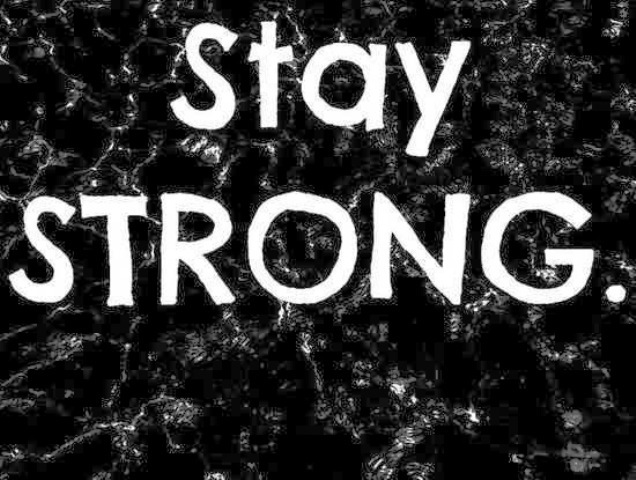 You Have to Be Strong!! – Motivational Mantras!! The award winning author and black belt martial artist Chris Bradford who was best known for his children’s fictional series, Young Samurai gave an amazing quote which said “Anyone can give up, it’s the easiest thing in the world to do; but to hold it together when everyone would expect you to fall apart, that’s the true strength. Each and every successful person we know today is successful not only because of his/her hard work but also because he/she had the courage to survive through the tough times of their lives. It is obvious that the road to success is never too easy to pass through but taking it as a challenge or a problem is just up to us. Many a times we are caught up in such situations in life, where everything seems difficult and we feel ourselves deprived from where we actually want to be. If some of our efforts to reach to our destination turn out to be disappointing, we immediately lose hope. Well, we should first understand that no effort is a total wastage as you always learn something or the other from it and second; in order to accomplish your goals you have to be patient. If you experience a bad situation or struggle in your life to achieve something, be strong enough to let it go and work hard again on it along with being patient enough to wait for what you actually deserve in life. Remember what Winston Churchill once said “Success is going from failure to failure without a loss of enthusiasm”. When you have big dreams in life, it is guaranteed that you’ll face hurdles on your path that will make you fall down but what you should not lose at that point of time is your enthusiasm, your zeal of making your dream come true and your fate will then take you there. Giving up in life is very easy but let me tell you my friend, whenever you give up on something you’ve always wanted to achieve, you go through the biggest loss about which you regret later. Whenever you feel like giving up in your life, remember how far you’ve reached and why you’ve come so far and you’ll ultimately find the strength to move ahead as the strength you need to walk on the path to your dreams is always inside you. Always remember that the pain you suffer today will surely make you stronger tomorrow. When no option is left and being strong is the only choice you have then why not go for it? The moment you’ll opt to be strong, the moment you’ll have faith in yourself, you’ll ultimately find a path that will take you to your dreams. Tougher is the situation, Stronger you’ll become!! Previous It’s Never Too Late!! Next Are you Determined Enough?